I love it, Zac looks comfortle in it. I like the way he makes all this funny s***! LMAO This is so cool! Britney very manly girl :)! OMG - this is FABULOUS! I love it! And he looks just like one of my friends (boy) who underwent the knife to become a girl (and she's one beautiful girl). I might have to post this picture to her Facebook. 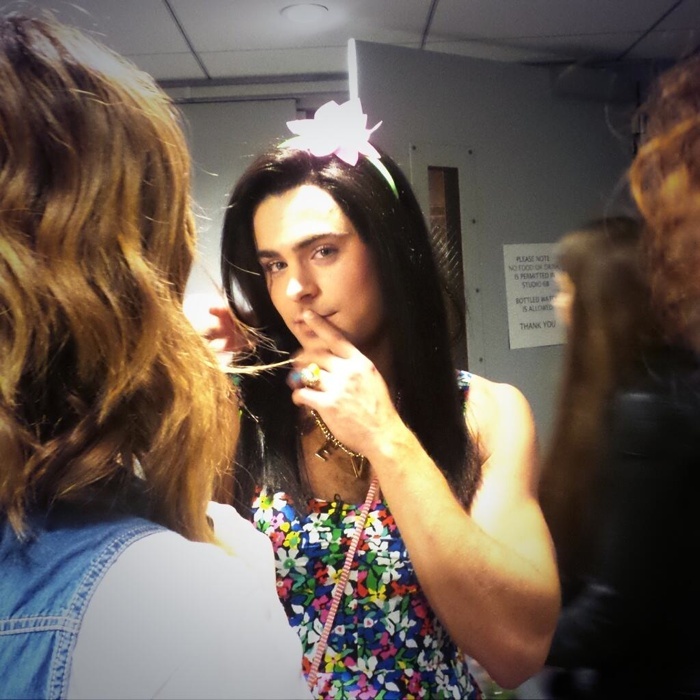 If Zac was a girl, though, I'd be the biggest, gayest mofo on the planet. Anyway, I have two papers due today and this makes it all better. Thank-you Zac! 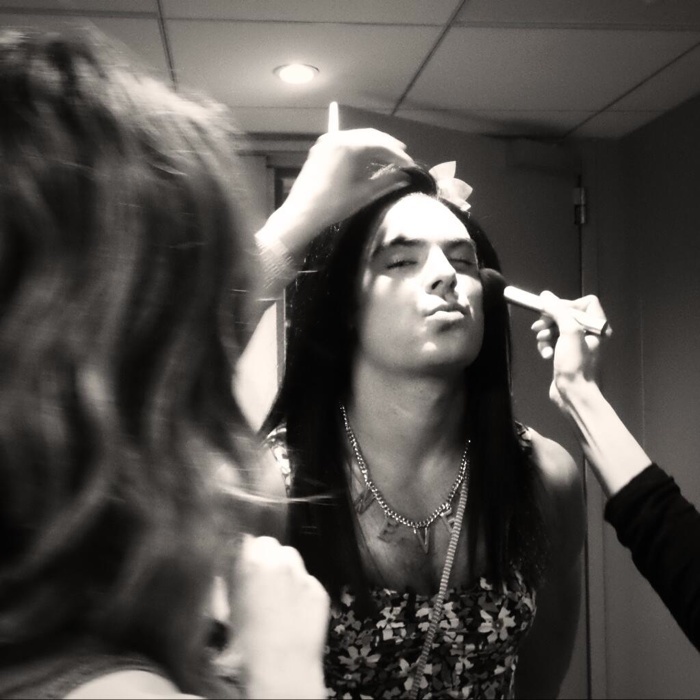 "If Zac was a girl, though, I'd be the biggest, gayest mofo on the planet." As a straight guy, I like this stunt. 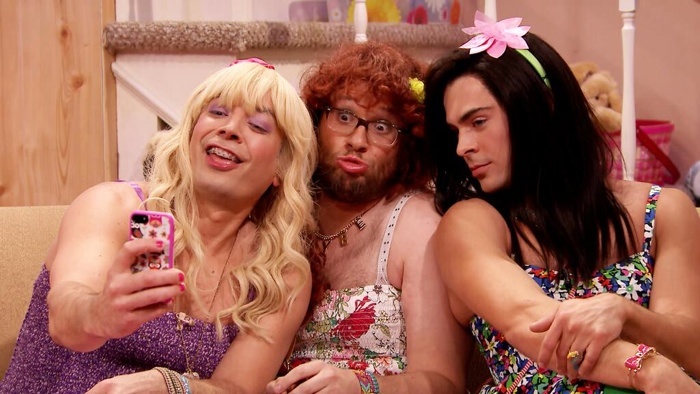 Seeing Zac as a femme lets me lust for him without arousing awkward gender issues. Plus, he looks good with long hair. Oh the memories. Oh, and for the record, Team Rogan in the Bieber feud. It was amusing enough but boy, the media loved it. Great coverage for the movie.